People say that regret always comes too late. And that we never know what we have until it’s gone. And that we only know we love when we miss. Sad but true, that is what mostly happens to most people most of the times. There are times when people make some mistakes that hurt their loved ones; driven and taken away by the emotions. There are times when people say harsh words that push their loved ones away from them. There are times when people do mean things that take their loved ones away from their side. And after some time has passed, that’s only when they realize that they have done something wrong. Yet they cannot take back what has happened. And there is only the emptiness that remains. Can people really open their heart to admit that they did wrong? Can people really let go of their ego to admit that they have let something precious to slip off of their hands? Can people really willingly take down their pride to admit that they long for that something they have let go? Can people face their fears? “Beautiful” is the song performed by South Korean boy group which was created through the survival audition music television program, Mnet’s Produce 101 Season 2, Wanna One. 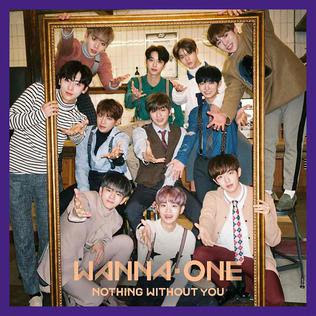 It served as the group’s title track for the group’s album, “1-1=0 (Nothing Without You)”, which was released on November 13th 2017. 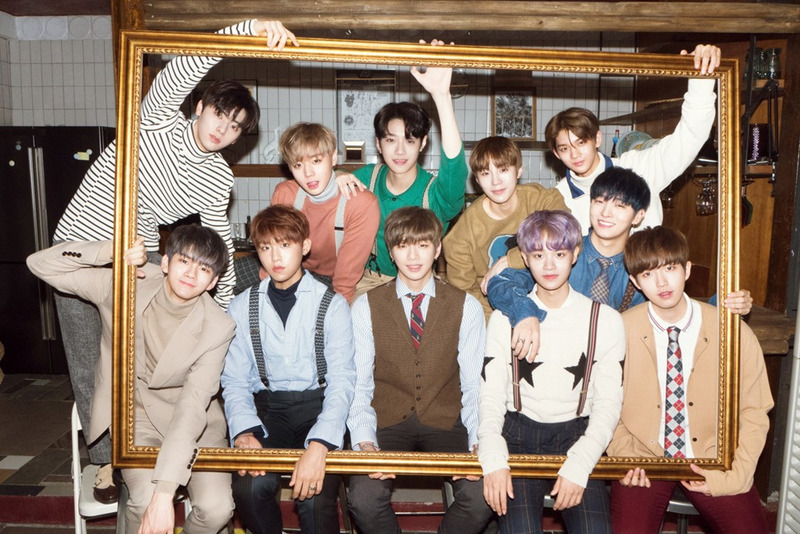 The album is the prequel repackage album for the group’s debut extended play, “1X1=1 (To Be One)”, which was released on August 7th 2017. An official accompany music video with a storyline (called as ‘movie version’ MV), guest-starring actor Cha Seung Won and directed by Yong Yi, was premiered on Mnet on November 8th 2017. 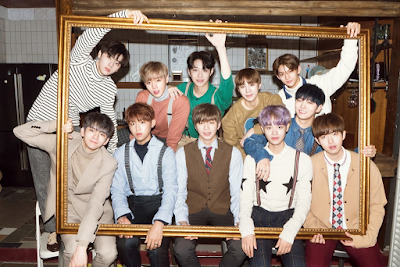 Almost two weeks later, the ‘performance version’ MV was premiered on Mnet on November 20th 2017, focusing on the choreography of the song performed by the eleven members of Wanna One. 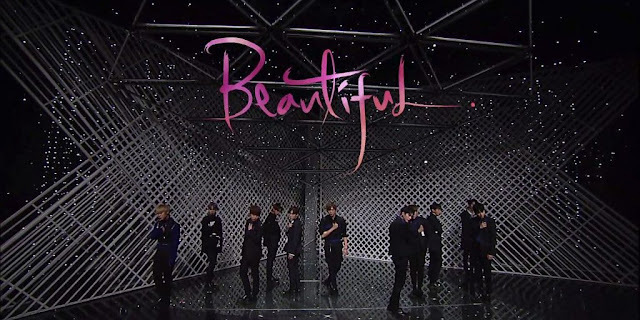 “Beautiful” is a dance pop ballad track written by Tenzo and Kebee, with music composed by Tenzo and Wooziq, and arrangement done by Wooziq. Lyrically, it speaks about the fear and longing for the past, as well as yearning for the future. We must open our heart to admit that we did wrong. We must let go of our ego to admit that we have let something precious to slip off of our hands. We must be willing to take down our pride to admit that we long for that something we have let go. We must face our fears. “So beautiful; I wonder if you were crying somewhere. Don’t leave, don’t go. I love you, it’s a lie. Whatever words you say, it would be nice for me. Oh I miss you, those last words by you who drifted away from me; it’s strange, I’m afraid. I need you. I hate myself for realizing this only now.” And even though all is just a lie, we would still like to hear it anyway if those words were coming from that person; since we cannot stand the final words before that person was fading away from us. Even if their love is a lie, it would be nice to hear it from that person, still. It’s not that we are desperate. It’s just that we still have hope; hence we are willing to try harder. It’s just that we still have love; hence we are willing to fight for it. It’s just that we long for that person so much.